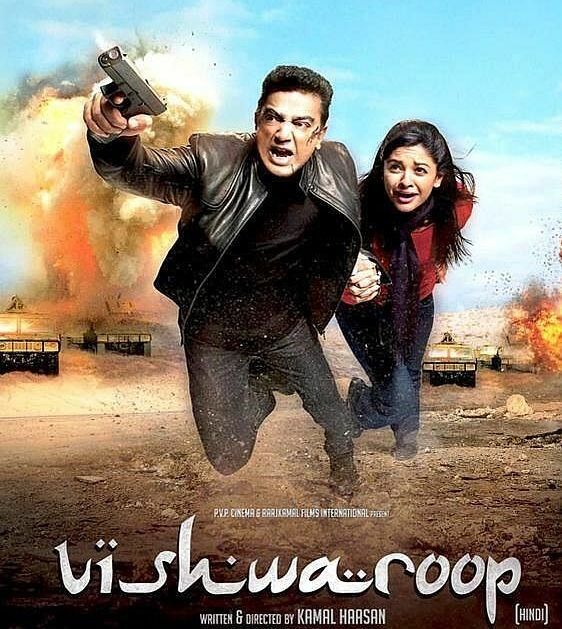 Chennai/New Delhi/Lucknow, Jan 24 : The Madras High Court on Thursday stayed release of Kamal Hasan''s movie ''Vishwaroopam'' till January 28. Earlier in the day, actor-filmmaker Kamal Haasan had moved the high court after the Tamil Nadu Government had stalled the screening of Vishwaroopam for fifteen days. The star said he was "appalled how my film is construed against Muslim brothers". He said that the circumstances leading to the ban were akin to cultural terrorism and added he was a victim of celebrity bashing. "I am not only hurt by these accusations of denigrating a community but my sensibilities are truly insulted. I have been ruthlessly used as a vehicle by small groups who seek political profile. Icon bashing is a great way to be noticed when you are not one yourself. It is happening again and again," Haasan said. He added that he would now rely on law and logic to come to our support. This kind of cultural terrorism will have to stop. "My statements in favour of that community have marked me as a sympathiser. I have always gone beyond the call of my duty as an actor to voice my opinion in favour of what was humane and civil. I have been part of an organisation called Harmony India which works for Hindu Muslim amity," he said to remind people of his secular credentials. The Tamil Nadu government had banned the screening of Vishwaroopam on Wednesday night, following strong protests from various Muslim organisations over the alleged depiction of their community in a negative light. The ban has evoked a mixed response. According to the media reports, the state government has taken the decision in the wake of protest from the various Muslim groups, because the film allegedly shown the minority community in poor light. Responding to the issue, Information and Broadcasting Minister Manish Tewari said the state government has no power to ban the exhibition of any film after it is cleared by the Central Board of Film Certification. "The Supreme Court has very categorically gives the power to the Central Government to certify films for exhibition, and once the Central Board of Film Certification (CBFC) has taken a particular view, it binds all the instrumentalities of the state. I suggest the Tamil Nadu Government to peruse the directives of the Supreme Court before coming at any conclusions, which may fall foul of the clear directives of the court," said Tewari. Commenting on the ban, Maulana Khalid Rashid Firangi Mehli, a Muslim cleric in Lucknow, said the film has hurt the religious sentiments of their community. "Kamal Hassan''s ''Vishwaroopam'' should be banned, because it hurts the sentiments of our community. India is known all over the world for secularism," said Mehli. Sanjay Roy, organiser of the Jaipur Literature Festival, condemned the ban on artists, saying that other methods could have been used to tackle the issue. "I don''t understand why artists are banned every time. Why is art banned? I have never seen any politician being banned. Only when Owaisi gave such a defamatory speech, this was the first time action was taken," said Roy in Jaipur. The actor and filmmaker, who is known for his experimental nature, has been busy promoting the movie. Hassan has directed as well as stars in ''Vishwaroopam'' in the lead role.